WASHINGTON, DC, September 26, 2014 (ENS) – In the remote reaches of the Pacific Ocean, President Barack Obama Thursday created the world’s most extensive marine reserve by expanding a National Monument established in the waning days of the Bush Administration. These pristine waters in the south-central Pacific are now protected from commercial resource extraction and fishing. President Obama’s proclamation expands the existing Pacific Remote Islands Marine National Monument, one of the most intact, ecologically sound marine environments in the world, to six times its previous size – from 87,000 square miles to more than 490,000 square miles. The Pacific Remote Islands Marine National Monument was established on January 6, 2009 by outgoing President George W. Bush to protect the marine environment around Wake, Baker, Howland, and Jarvis Islands, Johnston and Palmyra Atolls, and Kingman Reef. The original Monument takes in the lands, waters, and submerged and emergent lands of these seven Pacific Remote Islands to lines of latitude and longitude that lie 50 nautical miles from their mean low water lines. The expansion was achieved by extending the Monument boundaries to edge of the United States Exclusive Economic Zone up to 200 nautical miles from the the territorial seas around each of these seven Pacific Remote Islands. “The Monument is an important part of the most widespread collection of marine and terrestrial life protected areas on the planet, sustaining many endemic species including corals, fish, shellfish, marine mammals, seabirds, water birds, land birds, insects, and vegetation not found elsewhere,” said Obama in his proclamation. “The U.S. EEZ areas adjacent to Wake and Jarvis Islands and Johnston Atoll contain significant objects of scientific interest that are part of this highly pristine deep sea and open ocean ecosystem with unique biodiversity,” he proclaimed. The newly protected adjacent areas hold a large number of undersea mountains called seamounts that may provide habitat for colonies of deepwater corals many thousands of years old. A seamount is a mountain rising from the seabed that does not reach the sea surface. Nearly all of the seamounts in the adjacent areas are volcanoes: some are still erupting actively, and others stopped erupting long ago. The Monument includes 33 seamounts; the newly protected adjacent areas include at least 132 more, offering opportunities for scientific exploration and study. “The approximately 132 seamounts in the adjacent areas provide the opportunity for identification and discovery of many species not yet known to humans, with possibilities for research, medicines, and other important uses,” Obama stated. Estimates are that 15 to 44 percent of the species on a seamount or seamount group are found nowhere else on Earth, he said. Roughly five to 10 percent of invertebrates found on each survey of a seamount are new to science. “Some seamounts have pools of undiscovered species,” Obama stated. These newly protected adjacent areas’ pelagic environment provides habitat and forage for tunas, turtles, manta rays, sharks, cetaceans, and seabirds that have evolved with a foraging technique that depends on large marine predators. Obama noted that the pristine waters provide a baseline comparison for important scientific research that monitors and evaluates impacts of global climate change, including benchmarking coral bleaching and ocean acidification. 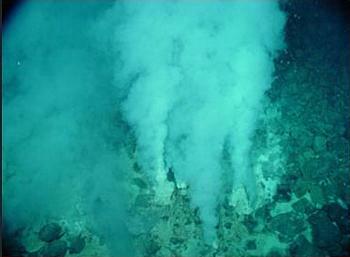 Deep-sea coral species not previously recorded from the central Pacific may exist in the expanded Monument. Tropical coral reefs and associated marine ecosystems are among the most vulnerable areas to the impacts of climate change and ocean acidification, Obama said. The adjacent areas include waters used by five species of protected turtles. In addition to the Green and Hawksbill turtles that use the near-shore waters of the Monument, the adjacent areas include waters used by the endangered leatherback, loggerhead, and Olive Ridley turtles. All five species use the adjacent areas for their migratory paths and feeding grounds. 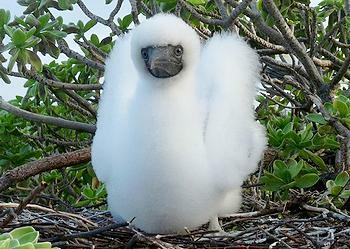 The adjacent areas provide the foraging habitat for several of the world’s largest remaining colonies of Sooty Terns, Lesser Frigatebirds, Red-footed Boobies, Red-tailed Tropicbirds, and other seabird species. Many of these wide-ranging species make foraging trips of 300 miles or more from their colonies on the Monument’s islands, atolls, and reefs. Since the Monument was established, Obama stated, U.S. Fish and Wildlife Service biologists have documented the return of seabird populations once absent at Johnston Atoll, including Great Frigatebirds, Sooty Terns, Red-tailed Tropicbirds, and other species that are known to feed as much as 300 to 600 miles offshore. Jarvis Island alone has nearly three million nesting pairs of Sooty Terns, which forage more than 300 miles from shore even when rearing chicks on the island. These seabirds forage, in part, by seeking schools of tuna and other large marine predators that drive prey fish to the surface, he said. Black-footed and Laysan Albatross, species that forage across the entire North Pacific, recently recolonized Wake Atoll, making it one of the few northern albatross colonies outside of the Hawaiian archipelago. At Jarvis Island, the Monument and its adjacent area provide an important undisturbed ecosystem that supports many rare seabird species, including the endangered White-throated Storm-petrel. Manta rays are abundant around the Monument’s reefs. Since the Monument was established, scientific research on manta ray movement has shown that manta rays frequently travel over 600 nautical miles away from the coastal environment, and well outside of the Monument boundaries. Scientific study of the multi-species ecological cycle at the Monument illustrates a very diverse and balanced habitat used by manta rays, many of which are found in the adjacent areas. The Monument land and atoll groups and the adjacent areas share geographic isolation, as well as climate, bathymetric, geologic, and wildlife characteristics that define them as individual biogeographic regions. Yet they are linked by regional oceanographic currents that drive marine species larval transport and adult migrations that shape the broader Pacific ecosystem. “The President’s action protects one of the most spectacular and vulnerable areas on Earth,” said Secretary of the Interior Sally Jewell, who will jointly manage the newly expanded Monument in consultation with Secretary of Commerce Penny Pritzker. The expanded monument will continue to be managed by the Departments of the Interior and Commerce through the U.S. Fish and Wildlife Service and National Oceanic and Atmospheric Administration, respectively. 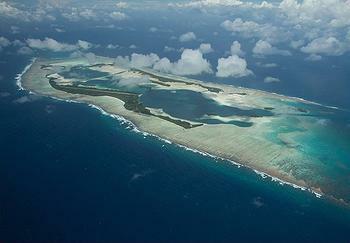 Secretary of State John Kerry said marine reserves will only be as effective as the enforcement that backs them up.